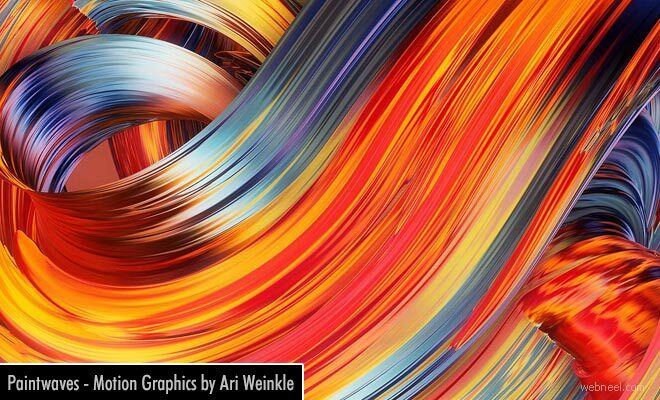 Colorful Motion Graphics Digital Painting : Ari Weinkle is a freelance graphic designer and artist from Boston. He mostly specializes in experimental typography, conceptual design, colorful motion graphics digital painting and abstract typography. According to his website, "My work is mostly experimental, often digital, and usually weird. My inspiration comes from a wide range of sources; I have been particularly affected by Japanese aesthetics, abstract painting, surrealism, and philosophy. I attempt to draw on both visual and nonvisual sources throughout my work.In my work, I look to break apart and re-appropriate different forms such as the human figure, geometric and organic shapes, and typography. Through the process of fragmenting different entities, I am continually searching for new and unique juxtapositions between shapes, colors, and patterns". He is available for commission and freelance projects. Here is a sample of his colorful motion graphics digital painting.